Food blogger, TV show host and former NBC page (!) 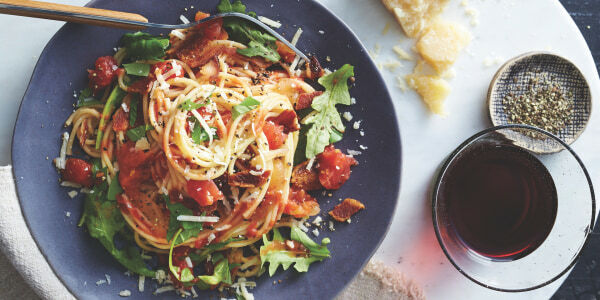 Ali Rosen is joining the TODAY Food team to share easy and delicious pasta recipes from her new cookbook "Bring It! : Tried and True Recipes for Potlucks and Casual Entertaining." 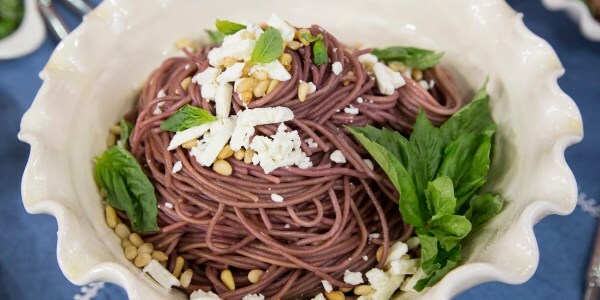 She shows us how to make spaghetti cooked in red wine with feta cheese and savory pesto pasta with almonds. "It is the rare recipe that looks complicated and impressive but is actually so simple to make. 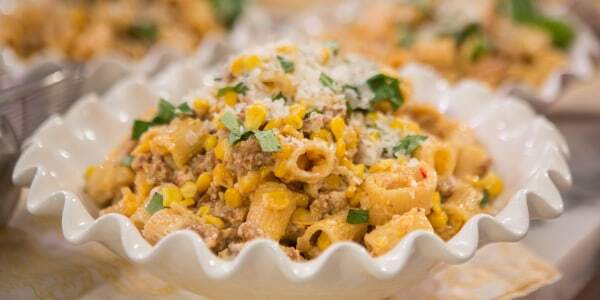 This eye catching, ruby red pasta is always the star of a party." "Pesto is a pretty common sauce, but this version will knock your socks off! Nutty almonds, bright lemon and zesty mustard give this simple sauce serious depth of flavor and palate-pleasing texture."